A retractor, made in the United States by Key-Bak, with an attached split metal key ring, which extends up to 4 feet on a sturdy, durable Kevlar cord. 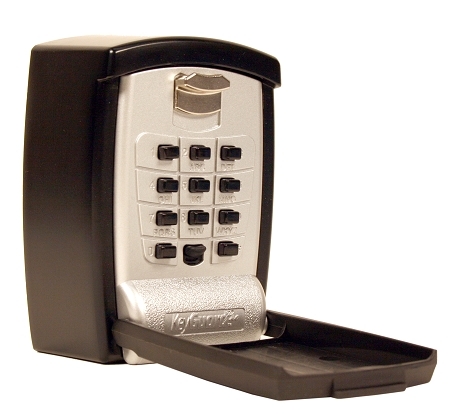 Mount his custom lock box next to a locked door or gate and instantly have controlled access to that door or gate. 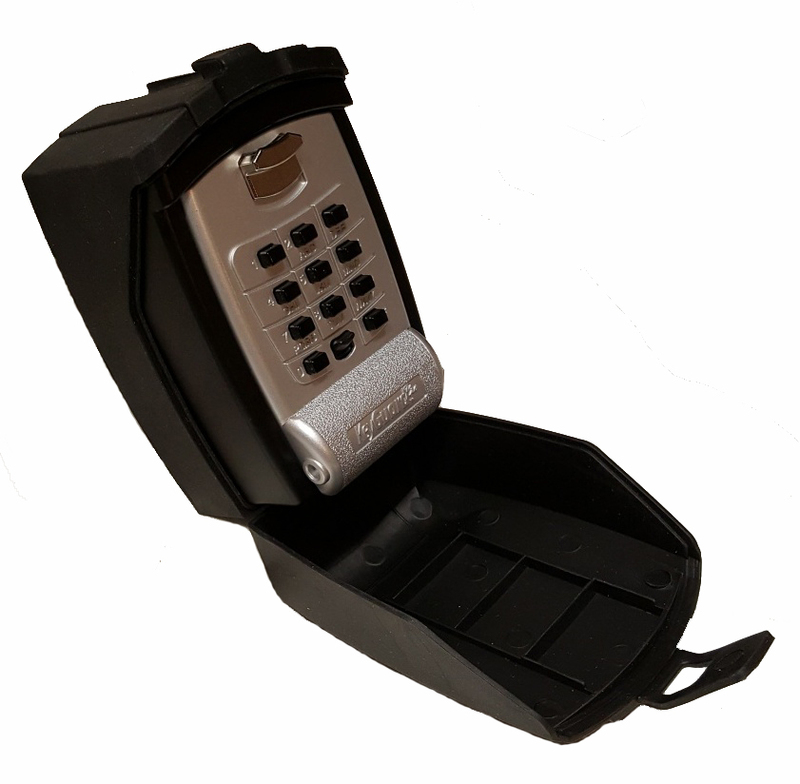 This key lock box allows our customers to feel confident that their keys or access cards are securely attached to the lock box and cannot be accessed or duplicated without their knowledge - particularly when the optional tamper proof key ring is used. 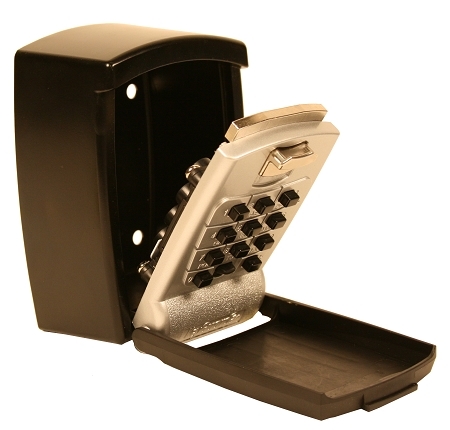 The standard KeyGuard Pro SL590 features a large familiar phone keypad punch buttons on the front that are easy to view and takes only a few seconds to access the key storage vault. Changing the combination is simple. 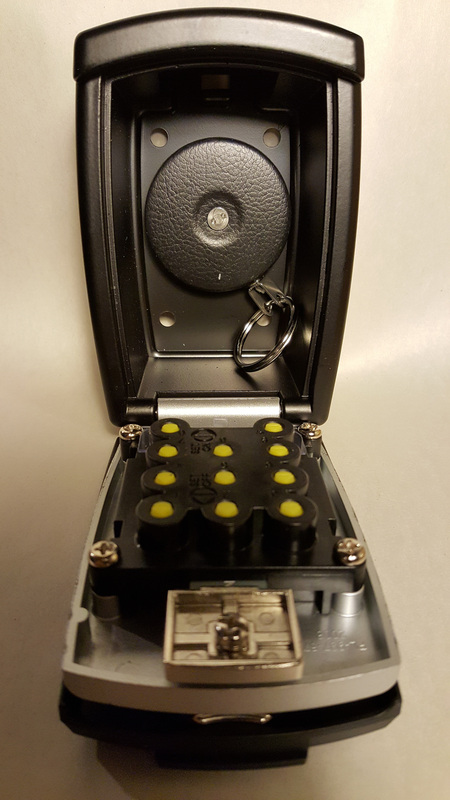 Access the back of face plate, select your combination - alpha or numeric- and turn the yellow buttons to your desired combination. This KeyGuard Pro SL590 is a heavy duty steel yet portable locking key holder made with the same durable construction that car dealers have relied upon for years. 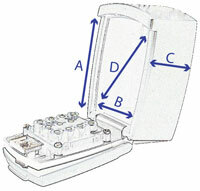 And the built-in keypad cover keeps the keypad from accumulating dirt. If the lockbox will be exposed to the weather, we recommend the optional Protective Cover for $7.95.